Christmas Past! 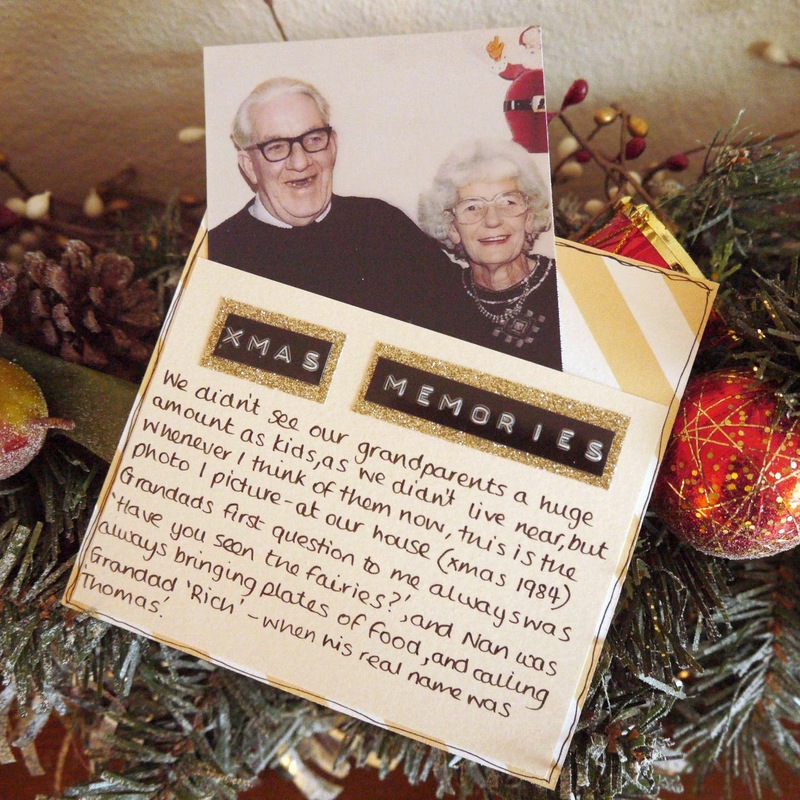 What are your favourite memories from Christmases past? How did you used to celebrate as a child? what do you still do the same? and different? 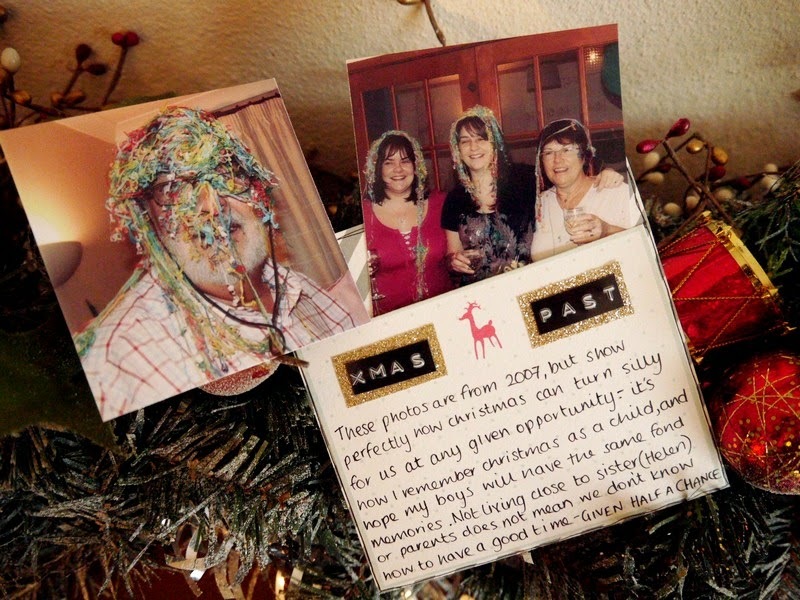 Include a picture of a past Christmas. Hello thank you for joining me (Claire N) today. This prompt can be, and will be interpreted so personally by everyone. Christmas of course is a very emotive time, and many many memories are at the fore front of peoples minds. Some thought about privately, some shared and remembered fondly with others, and some remembered by carrying out family traditions. The post today has taken me the longest out of all the days so far for two reasons. Firstly, deciding on how and which Christmas to journal about, and secondly being very very distracted by all the photos and videos I haven't looked at in a very long time. I wanted to convey what Christmas means to me, and that is fun. The photo's I have added to the pockets, sum up our silliness and the giggles we have as a family (both as children and now grown up). It is the type of Christmas my husband and I now aim to have each year with our boys. This prompted another memory, that I must journal in full one day. I moved to Ireland, my sister (Helen) is still in the UK and my parents are in Spain, so us all getting together happens very rarely. So one year,I decided (by whatever means) we should all be together. Mum & Dad are always with us at New Year, so I secretly arranged for Helen, her husband and daughter (Elena) to fly over. It was months in the planning and when the day came I was so nervous I felt unwell. Anyway the plan was for my husband to go out to collect a Chinese takeaway, orders were taken and off he went.......to the airport to collect Helen...LOL! They collected the Chinese on the way back, and it was decided that Elena would bring the food in from the car. Fortunately she is a gregarious child and had no problem bursting into the house (it was the first time she'd been to our new house too) announcing the arrival of the food. I tell you the look on Mum & Dad face was priceless, and it honestly took them a good 30-40 seconds to speak/smile/comprehend what what happening. We had well and truly flummoxed and surprised them, it was fabulous and set the scene for a brilliant celebration to bring the New year in. Onto my second page, and I really wanted to incorporate this photo of my Nan & Grandad, because when thinking of past Christmas's it popped into my head, and journalling about it here means that I it will always be easy for me to find in years to come. 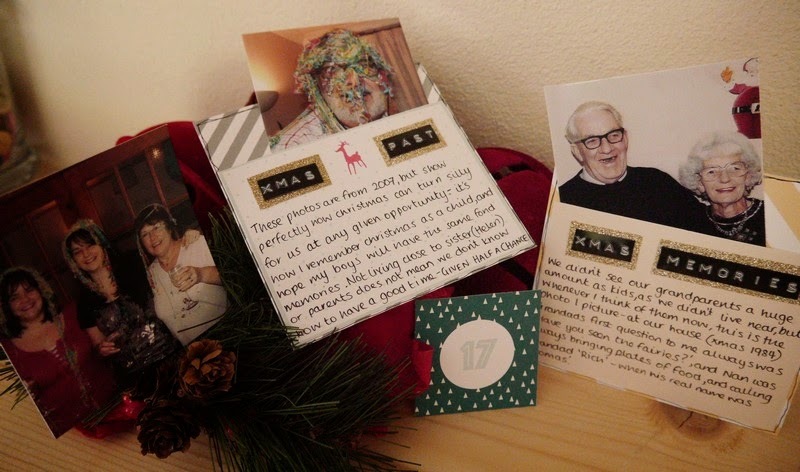 As I said Christmas will evoke all sorts of memories for each of us, but how about making a record of those special moments that make you laugh or smile. I will always remember with a smile how Grandad always asked if I'd seen the fairies - without fail, even as I reached my teens. I can hear my Nan too saying 'Oh Rich, stop it'.....the funny thing about that though, his name was Thomas - LOL! whats that all about? Thank you so much for taking a trip down Memory Lane with me. Don't forget if you want to join in with us and share your stories/layouts use our hashtags #documenteddecember and #sarahhurley on your social media site.